Provide a brief history of your company and services you provide? 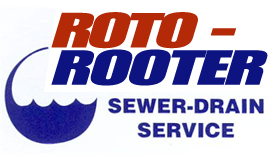 Our company-owned branches are “self-performing” in 44 major markets across the U.S. Roto-Rooter franchise operators are independent and autonomous companies that are not covered by our agreements, insurance, order processes, invoicing, etc. The Commercial Customer Support Team is dedicated to working with customers who use computerized systems to process their service requests. This team coordinates the communication and follows through on all electronic work orders that require special handling, price quotes or other intervention. They are on duty 24 hours a day, 365 days a year and work closely with the call centers, technicians and customer locations, as well as branch managers and customer headquarters, to ensure we comply with every customer requirement and provide world class service. Tell us about the company make-up and keys to your business success? We have over 2,500 employees, 1,700 of which are field technicians. The importance of field service to the current and future success of our programs cannot be overstated. Our customer feedback has consistently revealed that the responsiveness, professionalism, honesty, effectiveness and communication provided by technicians are what they look for in their primary service provider. We focus on our scorecard and remind our team that it is essential for technicians to show up promptly, to follow all customer instructions, to offer options, to communicate and to fix the problem the first time at a fair price. Our goal is to maintain and strengthen our existing customer relationships while building our performance rating. What things are you doing to proactively manage your technicians through the use of KPIs / Scorecards while incentivizing them to perform better every day? Communication is key – we make sure that our technicians understand the customer requirements and we enable their success by providing detailed instructions with every work order. We also take the time to explain the importance of each metric, how it’s measured and how we can improve. This constant communication resonates with our entire team. We take pride in our performance and recognize that our customers depend on KPIs in their decision making. What features / applications / hardware does your team utilize to best manage work order lifecycle? Are you currently using GPS Mobile applications? If so, why is this important and beneficial to your company? Roto-Rooter Services Company utilizes a combination of self-developed applications integrated with state-of-the-art technology provided by key business partners. These applications enable our service technicians to receive jobs with all the related special instructions. Using this technology, our dispatchers track technicians via a web-based map that shows each one’s location in relation to customer locations. Dispatchers can tell what skills each technician has compared with the skills required by the pending service requests nearby. We can tell the status of a job every step of the way, from receipt of the service request, to dispatch, to assignment to a specific technician, to arrival, to completion of the work, to payment or pending invoice, and finally to departure of technician. Each technician is equipped with an Android phone with GPS, used for time tracking, driving directions and work order handling, among other company processes. The technicians use their smart phones to receive their jobs and track in-transit time to the job, as well as enter in labor, parts, comments and other job related information when a work order is completed. Technicians may also process credit cards using a third-party processor and print invoices using Bluetooth technology. All data between the company system and the technician’s smart phone is real-time. Our work order process and technology has been featured in a number of national magazine articles and appeared on the Roto-Rooter episode of Undercover Boss, which aired the first time in April 2010. What are the key things you look for in a person you hire on your team? How are you able to retain top talent? Overall, we’re looking for people with an outgoing and energetic personality and a customer service focus. For our technicians, we can train someone who is mechanically inclined starting as an entry-level service technician. For plumbers, we look for the same characteristics but with service and repair experience. We offer in-house technical training. We also offer a comprehensive benefits package that includes a tuition reimbursement program to encourage technicians to obtain their plumbing license, as well as a 401k with company matching. There’s a different set of skills for the diverse group of people in our organization who provide customer support for our commercial accounts. Here we look for individuals who are self-motivated, fast learners who can take initiative and are detail oriented. They must be effective communicators, organized and of course, dedicated team members. We are fortunate to have a close knit team environment. Employee engagement is one of our top priorities. Our managers regularly ride with technicians to build relationships and offer one-to-one coaching. The customer support manager also works closely with our team. In addition, safety is a very high priority with weekly standards as well as on the job metrics. In May 2015, we celebrated 25 years of annual Employee Appreciation Week events. Finally, what’s in store for the near future? Roto-Rooter is introducing a new service that will become available in the coming months to commercial customers: Water Restoration Services. Specially trained and equipped technicians have received Institute of Inspection, Cleaning and Restoration Certification (IICRC) and perform water restoration services in compliance with the IICRC S500 standards for professional water damage restoration. Our vehicles are fully equipped with state-of-the art water extraction, drying and moisture testing equipment for all types of water problems. We professionally clean up water from sewer line and toilet backups, sump pump and water heater failures, broken pipes, ice maker problems, and flooding caused by heavy rain or groundwater seepage. Immediate action is the key to controlling the water damage and protecting our customers’ property. We continue to be known for our fast, expert service!